This is one of the techniques utilised within Traditional Chinese Medicine (TCM) and can be combined with Acupuncture and Tui Na massage. A vacuum is created inside a glass, plastic or bamboo cup before being placed on the skin, so that the cup sticks to the skin. This increases blood circulation to the area, and is excellent for pain, stiffness and congestion. 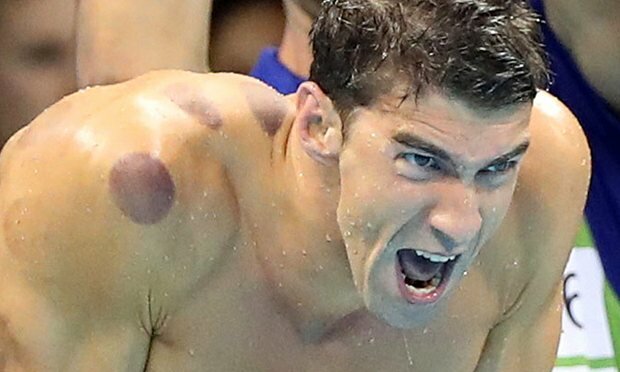 There has been a huge surge of interest in Cupping Therapy since Michael Phelps won his 19th Olympic gold medal at the Rio Olympics, and attracted just as much attention for the purple marks all over his body. They come from cupping therapy, a suction-based massage popular with the US Olympic team. Does cupping hurt and what are the circles? Cupping feels like suction, and the pressure is adjusted to the person so that it is not uncomfortable. The distinctive circles sometimes left after cupping are where the cups have pulled ‘stagnant blood’ to the surface. This can vary in colour from pink to deep purple and can last from a few minutes to several days. The darker and longer lasting the circles, the more ‘stagnation was present, and the more the person most likely needed the cupping therapy! Stefan Chmelik has been using Cupping Therapy to help people with different conditions for almost 30 years, and has previously taught practitioners the skill within the UK.